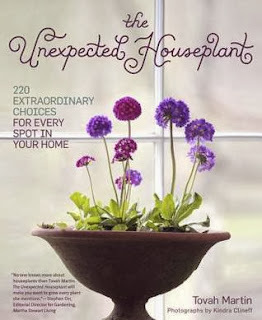 I remembered Tovah Martin from some of the gardening shows I used to watch on TV, back when there were actual gardening shows on TV, so I was interested to read her book on houseplants. She is also the author of a number of other gardening books, none of which, I admit, I had ever read. The uninitiated tend to equate indoor plants with that dusty, forgotten philodendron standing in some dark corner of the house, but according to Martin, the choices for indoor plants are much more extensive than philodendrons, African violets, and orchids. She is an evangelist for adding plants of many different varieties to the indoor garden. She writes of using spring bulbs, lush perennials, succulents, even flowering vines and trees indoors. The key to the survival of these plants is, of course, light, water, feeding, grooming, and pruning, especially light and water, and Martin gives practical advice on how to provide what these indoor plants need. She gives tips on troubleshooting your plants, season by season, in order to keep them healthy. Martin is a convincing proselytizer for the benefits of having an indoor garden. It's not just a matter of adding design flair to a home. Houseplants help to clean indoor air, which can be much more polluted than the outdoor air, and thus make the house healthier for its human occupants. 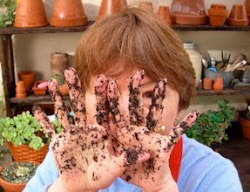 Martin's enthusiasm for her subject is obvious and she writes in a very knowledgeable and accessible manner which should be easily understandable by beginners as well as experienced indoor gardeners and decorators. Moreover, her text is illustrated by some beautiful photography by Kindra Clineff. All in all, this is a comprehensive and useful guide for anyone who wants to add some beauty and warmth to their home with the use of houseplants. And it might even help you to keep those plants alive well into the new year! Note: A copy of this book was provided to me by the publisher for the purposes of this review. The opinions expressed here are entirely my own. A long-time writer and lecturer about gardening, David Culp, along with his partner, Michael Alderfer, has spent some twenty years creating their two-acre garden at Brandywine College in Downington, Pennsylvania. In this book, Culp shares the lessons he has learned from that experience. The Brandywine garden is a layered garden, which simply means that it is a garden with plantings that are planned in order to provide a succession of eye-catching combinations (layers) of interest and beauty from earliest spring right into winter. It is a true four-season garden. The way that Culp and his partner achieved a four-season garden in Pennsylvania is not necessarily the way that I would achieve it in Southeast Texas. 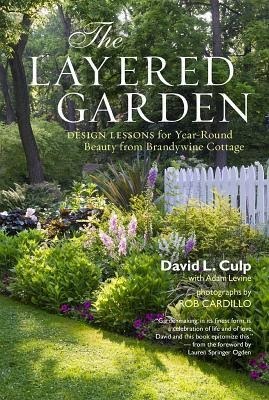 The plants will be different with very little overlap because our climates and our soils are different, but the principles embraced by Culp and recommended by him have application regardless of the area in which one gardens. The design technique of layering involves the interplanting of many different species in the same area so that as one plant passes its peak, another takes over, with the result that one can have a nonstop parade of color throughout the year. It is a technique of succession planting so that an area is never lacking in color and interest. The basis of this method is, of course, knowing how to choose the correct plants for your area by understanding how they grow and change throughout the seasons. Then, one must have some idea of how to design a layered garden and know how and be willing to maintain it. To illustrate these basics, Culp takes the reader on a personal tour through the several parts of his celebrated garden. We get to see the woodland garden, the perennial border, the kitchen garden, the shrubbery, and the walled garden and witness how they change throughout the year. The final chapter of the book explores the signature plants used in the garden for all four seasons. Many of these signature plants will not be appropriate for other hotter or drier areas of the country. Peonies and hellebores, for example, will not find a home in my garden. Still, there are some plants that we have in common, like roses, members of the lilium family, asters, etc., and the practical advice and ideas behind the plantings are applicable anywhere. Applying them should make it possible to have a four-season garden in any climate. Finally, I was glad to see a listing at the end of the book of some of Culp's own favorite garden books. They are works by many of his gardening heroes and heroines who are mentioned throughout the book. They represent a veritable encyclopedic range of knowledge about the art and science of gardening, and the list includes several books that I would very much like to add to my own bookshelves. As we near the end of 2013, I want to thank all my readers for visiting my blog this year. I have enjoyed sharing my thoughts and experiences with you and I look forward to doing more of that in 2014. For the next few days, I will be busy getting ready for the holidays and then enjoying them with my family and loved ones. I hope that your holidays find you surrounded by people that you love and who love you and that the coming year is a happy and healthy one for you. 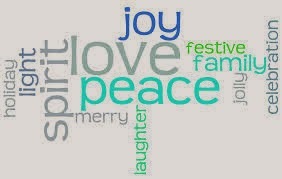 Have a joyous and peaceful holiday season. The shortest and darkest day of the year is here. Beginning tomorrow, each day will be a little longer and a little lighter, for today is the Winter Solstice, the day when winter actually begins. At 12:11 p.m. EST today (11:11 a.m. CST), the sun will appear directly overhead along the Tropic of Capricorn, at 23.5 degrees south latitude. With the Earth’s north pole at its maximum tilt from the sun, locations in the northern hemisphere will see the sun follow its lowest and shortest arc across the southern sky. For the next six months, the sun will spend an increasing amount of time above the horizon and our days will be progressively longer. From the earliest days of human history, this time of year has been a time of festivals - festivals meant to hold the fearful dark at bay and welcome the light of a new day and a new year. We continue this tradition with our own year-end holidays and celebrations. They connect us to our forbears, singing and dancing around the fires to drive the dark away. In honor of the Winter Solstice, here is a poem which expresses that human need to cast out darkness and celebrate the light. Happy Solstice Day and let us look forward to those longer and lighter days ahead. The garden and the gardener are ready for this new year. If you visit our Bloom Day hostess, Carol of May Dreams Gardens, you will find gardens featured that boast many blooms this month. But, as for my garden in mid-December, blooms are sparse indeed this year. Although we haven't yet had that true "killing" frost and no snow and ice as in many parts of the country, we have had several lighter frosts and many nights when temperatures have dipped into the the low 30s F. That has put all the tender perennials to sleep and has bitten back others and put a real damper on any hopes of blooms for the rest of the year. Still, a few hardy plants persevere. There's the Turk's cap, of course. It never really stops blooming, although it slows down in winter. The various lantanas still send out a few blooms which are nourishment for our winter visiting butterflies. The 'Dallas Red' lantana has been a particular winner this year. The shrimp plant seems unbothered by the cold and continues to be covered in its weird blossoms. Several of the roses can still be depended upon to send a few blooms out until that killing frost finally arrives. Here is one of the double 'Radazz' blossoms. 'Belinda's Dream' is always a prolific bloomer. The only "winter color" I've added so far is a few baskets of pansies like this one that hangs near the front door. The "faces" of pansies and violas always make me smile. In the garden in the backyard, the Copper Canyon daisies continue to spill their profuse blooms over the path. But that's about it. The garden really does need some more color for the season and maybe I will bestir myself to visit the garden center to obtain some this week. Meantime, thank you for visiting my late autumn garden and happy Bloom Day! It's another gray and drizzly day in what has been mostly a gray and drizzly week. It is definitely December weather. We did have one day of brilliant sunshine, just to remind us that it was possible, and to lift our spirits if only for a day, but it looks as though gray days are about all we have to look forward to for the foreseeable future. Meanwhile, inside, the timing of my seasonal plants has been decidedly off. My "Christmas" cactus turned out to be more a between Thanksgiving and Christmas cactus. It bloomed nicely but either too early or too late for the holidays. It still has a few buds but I seriously doubt they will develop. At least not in time for the holidays. Same goes for the three amaryllis bulbs I've been nurturing in pots in my bathroom window. Two of them are coming along nicely, but one is just beginning to show a little green. I really don't think any of them will develop sufficiently to bloom for Christmas. New Year's Day maybe. I guess I should have started them a couple of weeks earlier. This is 'Flamenco Queen,' the first one to poke its leaves out. This is 'Cherry Nymph' which was second but has had a growth spurt over the last couple of days. It may be my best bet for a Christmas bloom. And then there is the laggard, 'Grand Diva.' If I'm lucky it might bloom by Valentine's Day! Of course it was a bit handicapped by the fact that the nursery cut it so high. The leaves have to make their way through about an inch-and-a-half of last year's plant before they can emerge. It's obvious that if I want some color indoors for this holiday season, I need to make another trip to the nursery. Maybe this weekend. Actually, I need color for outdoors, too. There isn't that much going on in the garden right now. I did add some pansies a couple of weeks ago, and there are a few indomitables that are still blooming, but mostly the garden looks brown and gray. Gray just like the sky and my mood. Today dawned bright and clear. The garden is flooded with golden sunshine. What a joy to see it after almost a week of cold, drizzly days. It's still cold today - in the 40s - but one doesn't mind so much when the sun is shining. I went out to the garden to plant a couple of nandinas I had bought last week and a pot of Thanksgiving chrysanthemums whose blooms had faded. As I was working to plant one of the nandinas near the patio, I looked up and got a wonderful surprise. I've told you about some of the Monarch caterpillars I've been monitoring recently. After waiting all year to find such caterpillars on my milkweed plants, in the last few weeks, the plants have been overrun with them to the point where most of the leaves are now gone. But I had not seen any evidence of the caterpillars' progression to the next stage of their metamorphosis. Until today, when I looked up from digging a hole to see this hanging on the back of one of my patio chairs. This is the only one I have found so far, but then I haven't been out in the garden much lately. Surely, there must be others around and perhaps I will discover them. If the sun stays out. Back inside, after I uploaded my pictures of the bright green beauty, I searched for a video I had seen earlier of the development of the butterfly, from egg to butterfly. It's a lovely and informative video and here it is. A day that will live in infamy now for one more reason. It's been a week of contrasts. Early in the week, we had temperatures above 80 degrees F. Yesterday, our high was 73 degrees and our low was 38. Today the high is anticipated to be 39. Early in the week, there were lots of butterflies about, including this little skipper on the purple trailing lantana. This particular lantana is a great favorite with butterflies like the Common Buckeye. There were several of these American Painted Ladies enjoying the lantana on this day. On a cold and misty day like today, though, there are no butterflies about. And the gardener herself is staying inside. But a few blossoms like this 'Ducher' rose continue to grace the garden, even on a cold December day. Is this the last rose of the season? As cold air blankets much of the country, I hope your garden is doing well and that you are able to enjoy the week in the garden. Over the weekend, I was completing my observations of my backyard bird feeders for Project FeederWatch when I became aware that there was a squirrel on the ground under the feeders picking up stray seeds. Now, this isn't unusual in and of itself. Indeed, there are almost always squirrels in the yard during most daylight hours. But this particular squirrel was unusual. We have lived in our house for twenty-five years and during all those years, the only squirrels I have seen in our yard and in our neighborhood looked like this. The fur on their bellies and ears tends to have a reddish or slightly orange cast, and they are relatively large for squirrels, weighing in at around two pounds. They are fox squirrels, the largest of the tree squirrels of North America. But the squirrel that I saw feeding on the ground under my feeders was not a fox squirrel. It was one of the smaller gray squirrels, the first one I had ever seen in my yard. The animal was an adult - a female, I think. I went into the house to get the camera to document her visit, but, of course, by the time I got back outside, she had disappeared. I kept the camera by my side and in a little while, two more gray squirrel visitors appeared under the feeders. These two, though, were not adults. They were about half-grown kits and I assumed they were the progeny of the earlier adult I had seen. They were actually very cute and I enjoyed watching their antics. I had crumbled and spread on the ground some stale rolls that were left over from Thanksgiving dinner and the little visitors were enjoying a snack of bread. Note the light gray or white belly which marks this as a gray squirrel. The fur on the back of their ears is also white or light gray. I realize some birders and gardeners consider squirrels a nuisance, but I admit I quite enjoy them. My bird feeders are protected by squirrel baffles which keep the seeds safe from marauding squirrels or their nighttime equivalents, the raccoons. 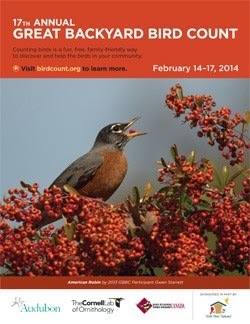 They are welcome to glean what they can from the ground underneath the feeders. And they have their own designated feeder in the front yard. I consider them welcome visitors who repay the food they get with their entertainment value.